It's no use trying. Any effort would be futile. It’s simply not possible to replicate the universe of the Spanish meadows beyond its place of origin, where it has always been. 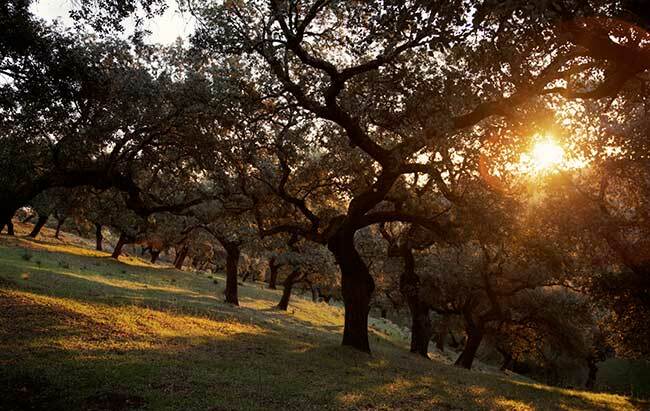 Climate, soil, fauna, flora, wind, a highly-controlled human guiding hand and a centuries-old tradition have all been maintained to honour the legacy of Cinco Jotas acorn-fed 100% ibérico ham. The quality of Cinco Jotas begins with the Spanish meadows. These grazing pastures represent the most extensive natural ecosystem in Spain; a perfect harmony of nature combined with traditional food production and sustainability. The most famous fruit of the meadows is the acorn. But the millions of trees found in this ecosystem perform another fundamental job: their roots carry water and nutrients to the surface, allowing grass to grow and reducing erosion, especially during the summer months when both temperatures and relative humidity rise. 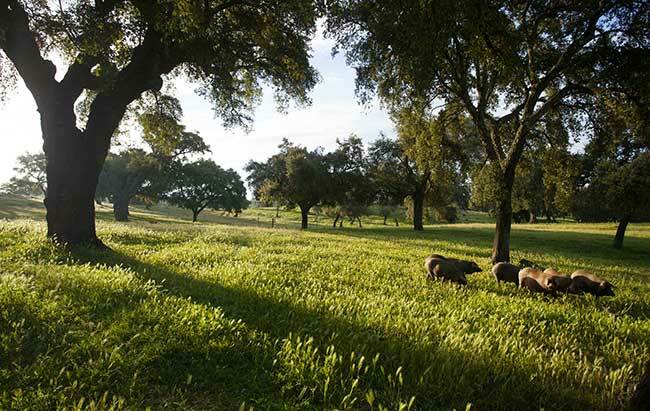 All of this results in a perfect cornucopia of abundance, culminating around the end of October when the Cinco Jotas 100% Iberian pigs of Cinco Jotas enjoy their favourite time of year: the montanera. They roam completely free range outdoors, enjoy exercise, and feed on delicacies of acorns, herbs, wild fruits, aromatic plants, nuts, and more. This natural and holistic diet is in part responsible for the exceptional flavours and aromas of the products made from free-range 100% Iberian pigs. Here’s an intriguing fact: Did you know that Iberian pigs are able distinguish sweet acorns from the bitter by sense of smell alone? They only eat the sweetest ones. Epicureans, each one of them! The Spanish meadow shide countless biodiversity-rich treasures: hundreds of wildflower species (rockrose, heather, poppies, daisies ...), pollinating bees, a varied array of fauna including storks, eagles, vultures, amphibians, small birds and insects, and a plethora of cork trees that allow the sustainable production of natural cork. (Another fun fact for statistic fans: the Spanish meadows supply 26% of cork stoppers for wine to the global marketplace). The Cinco Jotas meadows represent a holistic environment of immense environmental value. 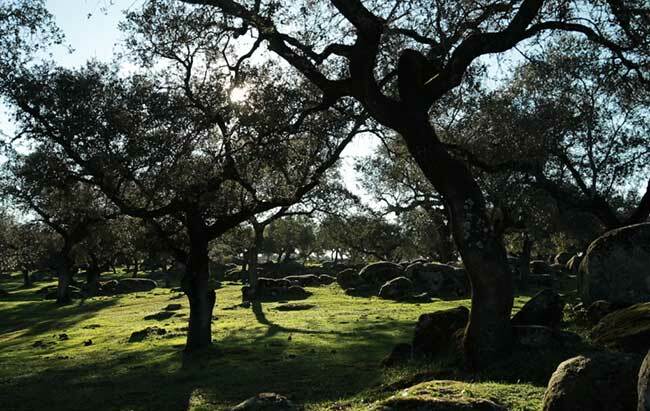 They are located in the Natural Parks of Sierra de Aracena and Picos de Aroche, designated by UNESCO as a Biosphere Reserve in the Dehesas de Sierra Morena. Cinco Jotas is all about the utmost respect and care fortheir 100% Iberian pigs and the environment in which they live and thrive. That’s why we are an unrivalled heritage company, forever true to our passion for sustainability, with products unlike any others in the world. Cinco Jotas. The originality and non-negotiable authenticity are downright divine.